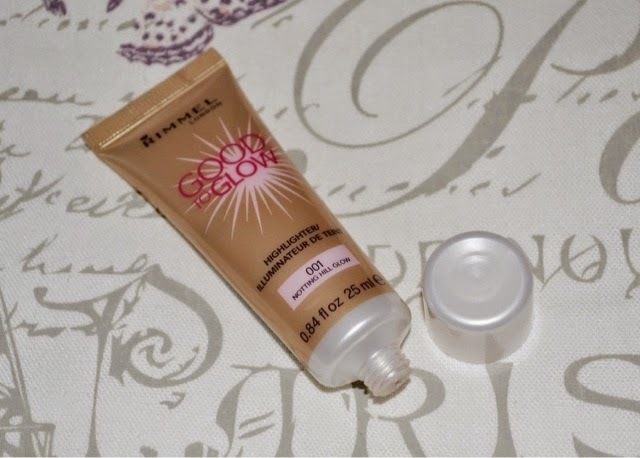 Highlighter is a must for sunny days and to help you prepare for the upcoming summer, a new highlighter by Rimmel London has recently hit the stores and I am super excited to tell you why I think this is one of their best products yet! Powder highlighters have been a favourite of mine for a long time, mostly because in the drugstore world there aren't a huge amount of liquid ones. 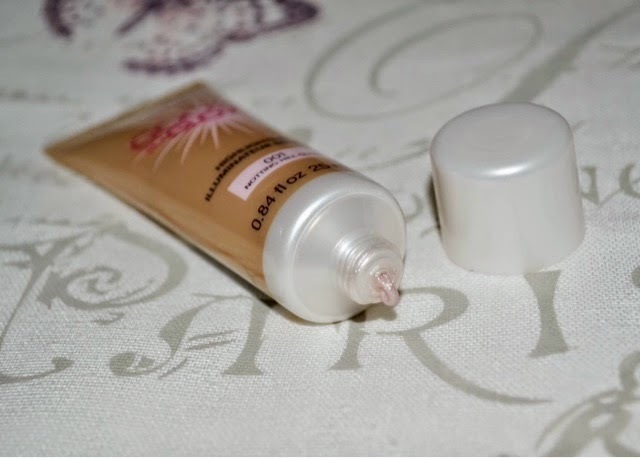 A natural glow is something I am always going for, day or night so I am glad we are now able to get this amazing product at such a good price in our favourite drugstores. This highlighter comes in 3 different shades (001 Notting Hill Glow, 002 Piccadilly Glow and 003 Soho Glow), and they are all equally pretty; check them out here. These different shades are designed to suit all skin tones and I chose the lightest shade: 001 Notting Hill Glow. I've used this for a week or so now, and I am loving the quality, consistency and everything about this product. This is an instant build-able highlighter with light reflecting pigments that aim to give you a radiant and luminous glow. The formula is just perfect; it has a lightweight liquid texture and even though it is very pigmented at first, when you blend it out the result is a glamorous yet subtle glow. I like applying this highlighter on my cheekbones, above my brow bone, on my nose bridge, cupid's bow and at the top of my forehead. The result is an instant touch of radiance to my look and perfect dewy skin. I wear this on top of my foundation, but it can also be worn alone, blended with foundation for a subtle all over glow and I think if I added a few drops of it to my body cream, the result would be gorgeous looking décolleté, arms and legs, so I am definitely trying that next! ♥ Variety of shades to suit different skin tones. ♥ Lovely formula and lightweight texture. ♥ Good amount of product and a little goes a long way. ♥ Priced at only £4.99 which is a total bargain! 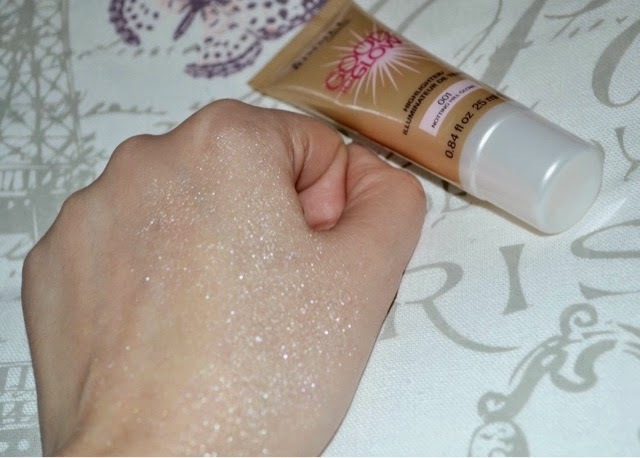 ♥ Great dupe for Benefit's High Beam. ♥ Blends in really easily. ♥ Versatile as it can be worn in different ways. ♥ I find this product to be an all-round winner and I can't wait to add the other 2 shades to my collection! Have you tried this yet? I would love to hear from you, so don't be shy and leave a comment below! Happy Mother's Day to all the lovely mums out there and until next time! Lovely post. Love the effect. Also, thank you for all your comments over on my blog - they are always so nice. doesnt it? I love it!! Thank you Jamie and thanks for the visit and comment. This looks like a great product and I think I agree with you on the idea of mixing it with body cream, would look amazing! Oh wow! Great review thanks for sharing babe! Cannot wait to try! Such a pretty, sparkly color! I actually have never tried a highlighter just because my skin is so oily. Try it out, maybe you will be surprised. Thanks for the visit Collen! thanks for the visit Alex! It looks soo gorgeous, I definitely want to try it! This looks really nice but I'm kind of scared of all the glitter! Anything glittery wins its way to my heart! Try it! You might be surprised at how good it is! This looks really good but is it a little too shimmery? haha, I thought that too when I saw the picture, but the flash was on. Trust me, on your skin it looks perfectly normal. This looks so perfect for summer! Never tried a cream highlighter of this consistency before but for that price I'd be silly not to give it a try! Thank you dear :) I will check yours too! Hi dear, what a lovely blog you have here and very interesting post, did we follow each other already? If not, would you like to follow each other on BLOGLOVIN and INSTAGRAM? if you decided to follow me, please let me know so I can follow you back. thanks for your visit. Followed both Blog and Bloglovin. Rimmel London Wake Me Up Mascara - Does It Work?